My family is musical on both sides. In Mother’s family, Aunt Geneva played the harmonica and Uncle Fatty (Jesse) played the guitar. My grandmother on the Jones side played banjo and autoharp. I never heard her play or sing, because she died when I was small. But I often heard Aunt Geneva and Uncle Fatty. I thought they got their songs from the radio, and that some of them were old songs from our part of the country. After watching this show, I now know that the songs they sang did come from the radio and from records–of the Carter Family, and later of the Carter Sisters and Mother Maybelle. 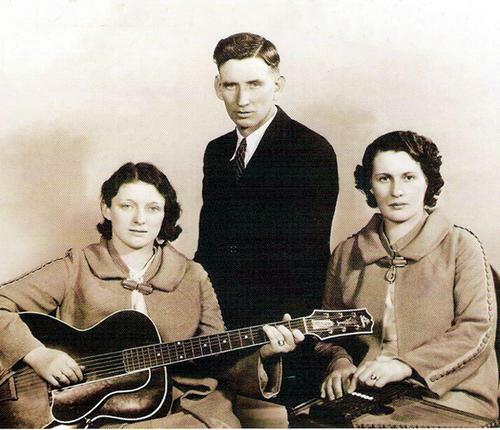 A. P. Carter started in the late ’20s with his wife Sara and sister-in-law Maybelle, recording old songs from the Virginia mountains where they lived, close to the Tennessee border. Then over the years he went further and further afield, looking for more material. Old songs that went back hundreds of years, and blues and field hollers, were all fodder for them. A. P. arranged the songs and sang harmony; Sara sang lead, and Maybelle invented a new style of guitar picking unlike anything that had been before. When Mother sang “I’m thinking tonight of my Blue Eyes,” that was a Carter Family song. “Will the Circle Be Unbroken,” “Wildwood Flower,” and “Keep on the Sunny Side” were all in my family’s repertoire, and all Carter Family songs. Now the Carters are called folk musicians and roots music. During the folk revival of the ’60s Joan Baez recorded some of their songs. Maybelle’s picking inspired Doc Watson and others who took her style into the mainstream of country music. But for me those songs bring back a rainy Sunday afternoon in Aunt Lou and Uncle Floyd’s “parlor” sitting around the coal-burning stove. Aunt Geneva is playing the melody of “Wildwood Flower,” then Uncle Fatty picks it in Maybelle Carter’s style, picking the melody and strumming chords at the same time. Then they sing, Mother and Aunt Lou joining in and patting their feet. Daddy and Uncle Floyd sang too, but softly, for the others were better singers, and they wanted to hear them. I wish I could hear their voices again. Maybe it’s time to get out my old Sears Silvertone guitar. Or better still, listen to Roseanne Cash (June Carter’s stepdaughter and Johnny Cash’s daughter) sing “Long Black Veil.” She has that lonesome mountain sound, brought into the modern world. February is a tough month for me. Daddy died in February, when I was only 22. My late companion died in February some years ago, drowned during vacation in Florida. So I’m always glad to see the back of this month, and spend some time remembering. The first time I saw death close up was my grandfather’s death when I was a teenager. My father drove us up the hill from our farm to Pap’s white clapboard house to wait for the ambulance. Aunt Nina had heard Pap fall in the bathroom, and found him dead on the floor. He was almost 90 years old. I saw the ambulance men bring Pap out on a stretcher. He was neatly dressed, as always, in grey pants, a crisply ironed shirt, and black laced-up boots. He had combed his thin, fine white hair, but he hadn’t shaved yet, so his chin had white bristles. His cold blue eyes were open wide, his nose jutting, his jaw slack. He looked surprised, nothing more. Daddy stood frozen as his father went by. I have seen death again since then, my father in a coffin, my mother, Ron breathing out his life in a frantic knot of paramedics. I have seen old people fighting death like commandos, wrestling it down, falling to it. I see it advancing down the hall, lurking behind a hospital bed, swerving on a highway. I used to think that, whenever you lost someone, eventually the gaping hole would be filled by another comfort of some kind. Now I think that we’re all like the moons of Jupiter. We’re pelted by meteorites. Sometimes you get a glancing blow. Sometimes you get a crater. Sometimes you crack into pieces, and you’re not a moon anymore. You keep orbiting around. The holes may not hurt as much, but they are still there. And we look for comfort. Daddy was always fond of chocolate, but we never had anything like those Belgian chocolates when I was growing up. If times were good Mother got a Whitman’s sampler on Mother’s Day. Daddy’s favorites were chocolate-covered cherries. Mother always got him a box for Christmas, as well as chocolate drops filled with coconut. Uncle Floyd always gave us a tin of King Leo peppermint sticks for Christmas. Once Mother went through a fit of baking fancy cakes, and she made a heart-shaped cake for Valentine’s Day. I think she got the idea from Good Housekeeping magazine. 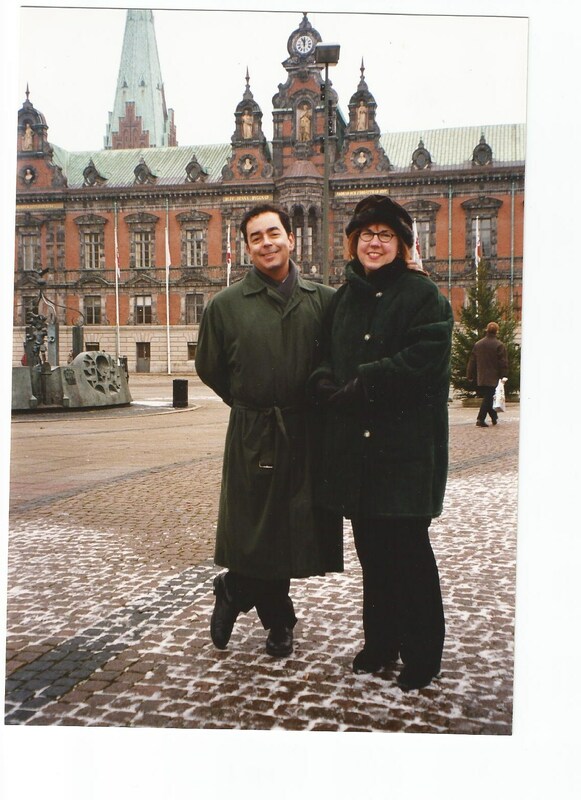 Valentine’s Day was not a romantic date for my parents by the time I came along. I think having a fifth child at age 38 (her) and 40 (him) was enough for both of them. Valentine’s Day was not a big occurance at my house, but it was fraught with anxiety in elementary school. In the second or third grade each student in my class had a paper bag to be their “Valentine mailbox,” and we were expected to slip valentines in to our friends’ boxes. Mother was adamant that I give valentines to the whole class. “Nobody should be left out,” she said. “It’s mean.” So I dutifully gave one to everybody. Most of the class did the same thing, having equally strict mothers. But there was always some child too poor to buy the boxes of cheap valentines, even the punch-out kind. I felt embarrassed and ashamed for the kid. 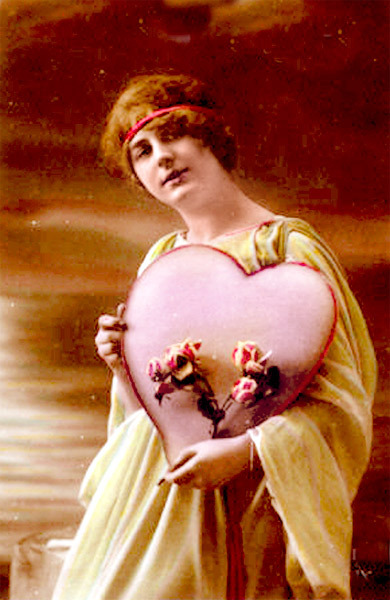 And we each were acutely aware of who in the class got the most valentines–usually some little blond girl. After I grew up, Valentine’s Day became more of a ritual. The boyfriend took me out for dinner, brought me flowers, maybe candy, maybe some small piece of jewelry. We drank champagne. We swept any issues under the carpet and had a romantic evening. Those days are behind me now. But I still like the flowers. Maybe I’ll pick up some the day after Valentine’s Day, when the prices go down!